Boston Medical Center is responding to a pressing need in health care—better integration of behavioral health care into clinical settings—through a new five-year combined family medicine and psychiatry residency program. When the two new residents started last month, BMC became the sixth joint family medicine-psychiatry residency program in the country, and the only one in New England. “For many years, there has been a pretty significant divide between medical and behavioral health care. But what we really need to be doing is having them work very closely and collaboratively to make a difference,” says Glennon O’Grady, MD, co-director of the new joint residency program. According to O’Grady, patients struggling with both mental health or substance use issues and chronic medical ailments have a shorter life expectancy by almost 20 years compared to the average patient. Programs like BMC’s family medicine-psychiatry residency and improved integration of behavioral health and primary care, O’Grady believes, can better serve the needs of complex patients. Robert Joseph, MD, MS, vice chair for integrated behavioral health at BMC, is also a co-director of the combined residency. “In addition to the increased medical morbidity found in patients with mental health or substance use disorders as noted by Dr. O’Grady, it’s also true that the majority of patients with mental health conditions are seen by their primary care provider as opposed to a mental health specialist,” says Joseph. 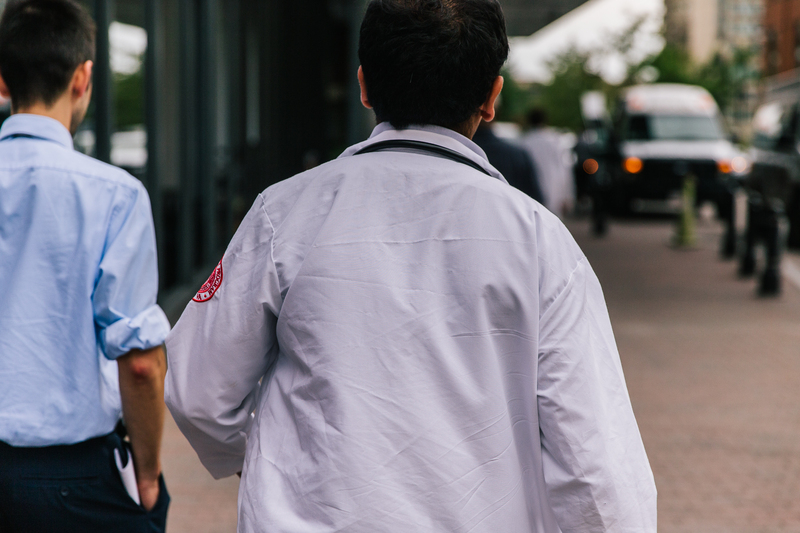 For the selected residents Eduardo Garza, MD, and Saikrishna Kugabalasooriar, MD, their BMC journey is just beginning, but they have hit the ground running and are bringing new perspectives to the hospital. Garza, who spent time living in Texas and Mexico while growing up, was first inspired to become a physician by his pediatrician. While Garza was also interested in psychiatry, he fell in love with family medicine during one of his clinical rotations at The Warren Alpert Medical School of Brown University. Kugabalasooriar, originally from Maine and Burlington, MA, entered Boston University School of Medicine (BUSM) with limited knowledge of family medicine and psychiatry. However, by engaging in activities that interested him, such as integrative medicine, clinical and communication skills training, and Healer’s Art, he was already headed down a path to family medicine. At BUSM, Kugabalasooria also volunteered with the Outreach Van Project, which brings food, clothing and care to the homeless population in East Boston. Garza and Kugabalasooria’s residency starts with “foundation work,” including inpatient rotations for family and adult medicine, pediatrics, obstetrics and then further integration with psychiatry. They work mostly out of the South End Community Health Center, a key component in their training in community health systems. “All of our mentors are leading community health systems, and they inspire us every day,” says Kugabalasooria. O’Grady and Joseph both hope that the new joint residents will provide two-way training for attending physicians through joint conferences and precepting. “I’m hoping that the family physicians who are not psychiatrists will learn more psychiatry by being a part of the teaching process,” says O’Grady.